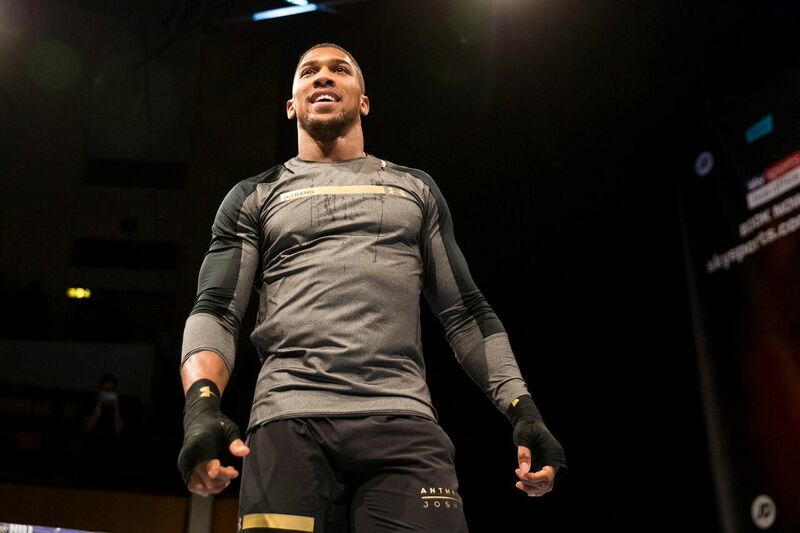 Ricky ‘The Hitman’ Hatton is convinced heavyweight hero Anthony Joshua will write another chapter in British boxing’s golden era in Cardiff on Saturday night. Joshua looks to add Joseph Parker’s WBO belt to his IBF and WBA Super titles at the Principality Stadium and Hatton said: “I can’t see anything other than a Joshua win. “Parker has quick hands for a heavyweight and he could give Joshua problems for a few rounds. “But can he do it for 12 rounds is the question. “I don’t think he can. Joshua is British boxing’s biggest star since Hatton was in his pomp around a decade ago. Hatton now has a stable of fighters – including unbeaten heavyweight Nathan Gorman – and is also an ambassador for ‘Ultimate Boxxer,’ an exciting new single elimination tournament that premiers on Friday 27th April at the Manchester Arena with eight unbeaten welterweights going toe-to-toe. “This is going to be the start of something that could be very, very exciting.” Said Hatton. “Sky Sports and BT Sport are both doing a great job for boxing, but ‘Ultimate Boxxer’ is being shown on the internet and you can be seen by so many people on the internet these days. ‘Ultimate Boxxer’ is being held at the venue where Hatton dethroned pound-for-pound fighter Kostya Tszyu in 2006 and became a legend. Hatton was a huge fans’ favourite, thousands followed him to the States for fights with Floyd Mayweather Jr. and Manny Pacquiao, but he said: “This is the most successful time for British boxing I can remember. “We’ve got good fighters coming through, lots of champions and the heavyweight champion of the world.